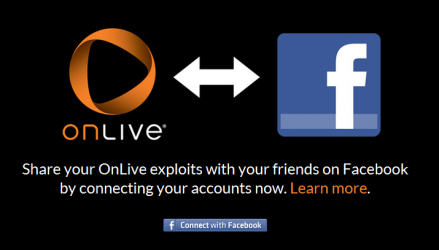 OnLiveSpot: OnLive Achievements Can Now be Shared to Facebook – Could YouTube and Twitter Integration Come Soon? OnLive Achievements Can Now be Shared to Facebook – Could YouTube and Twitter Integration Come Soon? 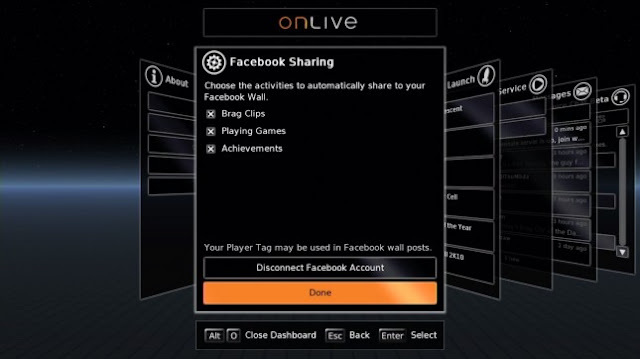 OnLive announced yesterday that they have integrated Facebook sharing of Achievements and Achievement Brag Clips. This is something that will continue to move OnLive into the social gaming world. Previously there has been the ability to post OnLive Brag Clips to your Facebook profile, once your OnLive account has been configured to do so. This allowed gamers to show all their friends 10-second Brag Clips that they had recorded. Now with the integration of Achievements into Facebook, gamers can share their gaming skills with their friends as well. On top of this, if the specific games have Achievement Brag Clips configured for them, a 10-second brag clip of the Achievement can also be shared to Facebook. While 10-second brag clips are not all that long in length, they can usually be efficient in recording both Achievements, as well as gamers’ unbelieveable skills. However, we asked OnLive Founder and CEO Steve Perlman about the possibility of having extended Brag Clips, that can be longer than 10-seconds in length. It appears as though OnLive will eventually extend the brag clip time limit, but not until they can get other important features integrated into the cloud gaming service. Some of these will be “cool features” that we are going to “really enjoy”. What will they be? We will have to wait to find out. While Facebook integration has been key to helping spread the word of OnLive to the masses, many gamers have been requesting that OnLive also integrate itself into other social services such as Twitter and YouTube. We also asked Perlman about this possibility. So, while we can probably expect to see further social integration with services such as Twitter, YouTube, and even Google Plus in the future, there is no timetable for when the integration will take place. OnLive has a lot of bigger things on their horizon, including European expansion and Tablet integration.